Now is the time to consolidate energy, attention, and action to advance rights-based policies for health in America. The success of the movement to stop the GOP from repealing the ACA was a major victory for grassroots activists. It showed the power of a variety of key constituencies: disability rights activists, the progressive left, healthcare workers, the faith community, among others. 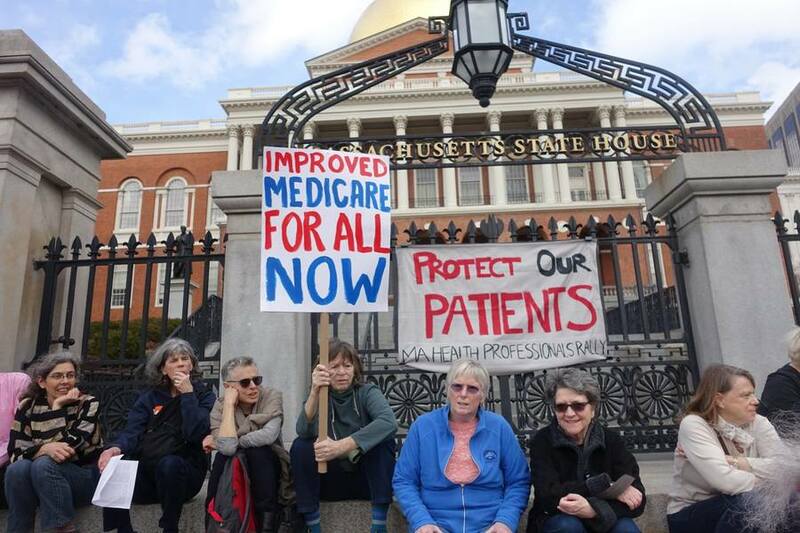 Legislative proposals for improved and expanded Medicare for All have greater support than ever before in the US House of Representatives and in the MA State Legislature, while Bernie Sanders is gearing up to launch a campaign for a Senate single payer bill. In joining allies from across the state for this unified movement, we aim to build the capacity to run successful single-payer educational and legislative campaigns throughout Massachusetts. Join in on the actions below and get plugged into ongoing efforts to ensure our right to health in MA!